Fields marked by an asterisk * are required. 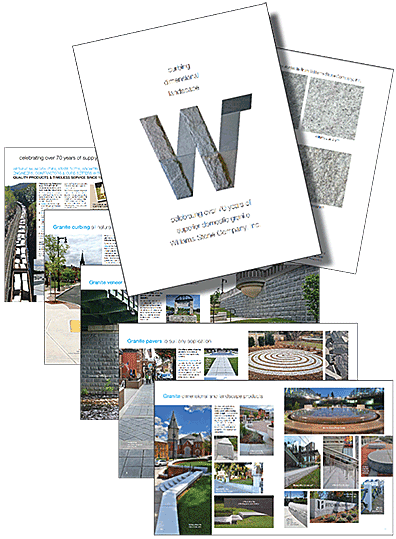 To request a free printed copy of the new 12-page Williams Stone Company brochure showing numerous completed curbing, psver, veneer and dimensional stone landscape projects, use the e-mail form above and send us your request electronically. Be sure to include your name and postal mailing address. 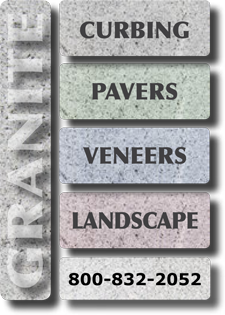 Or, if you prefer an electronic copy right now, click on either the image or link below to download a PDF of the brochure. on the "Get Adobe Reader"